Furrah Syed is a London-based abstract artist who specialises in painting heavily-textured canvases using acrylics, oils and mixed-media. She studied Fine Art and Textile Design along with Art History in London, but chose to pursue a corporate career in Finance and Marketing. During a career break to raise a family, and while accompanying her husband on an overseas job posting in India, Furrah’s passion for creating art was reignited. She resumed her true calling and, with the new found inspiration that India had to offer, began to create abstract art which was well received within the art community. During her 3 year stay in India, she participated in a number of group shows and finished off with a hugely successful solo show before returning to the UK. Back in London, she went on to establish her art practice and continues her art journey as a full-time artist and an accomplished educator. Furrah has the utmost respect for the beauty in nature and cites it as her main source of inspiration. Being fortunate to have visited many destinations across the globe, she has derived a vast amount of inspiration from each journey. It was during her time living in Bangalore, India that she discovered the technique of how to feel colour via the practice of Pranic Healing, which is similar to Reiki but without the element of touch. Furrah was fascinated by the whole concept especially with the aspect of healing with colour energies, of which she became an Advanced Practitioner. This led to a whole new perspective for her in the way she created and shared her art, and prompted her to research the actual science behind colour energy frequencies. Furrah had always been curious about how her art could be experienced by someone who couldn’t see it, but could feel it. Armed with the knowledge of colour energy frequencies, Furrah devised and further developed her Art Appreciation Workshops for the Blind and Partially Sighted, which she has successfully conducted at various institutions in UK, USA, Australia, Hong Kong, Singapore and Malaysia. 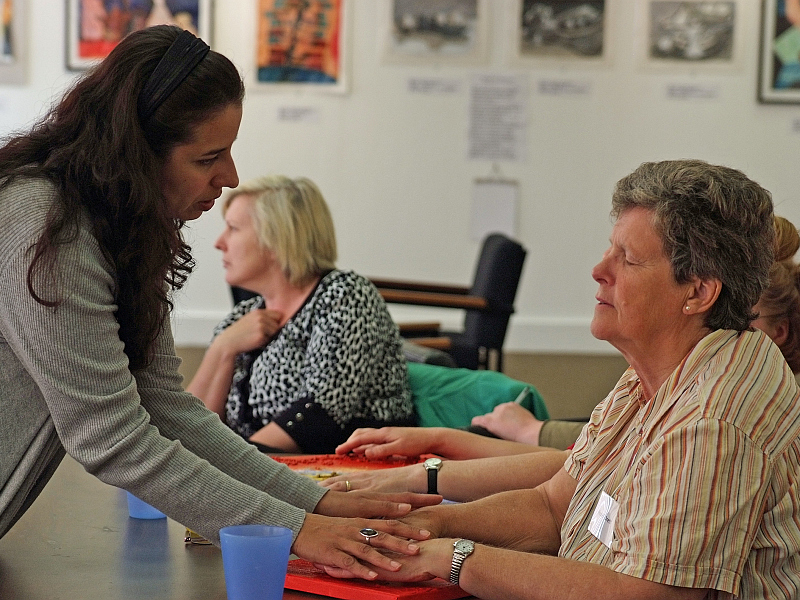 These workshops cover techniques for ‘feeling’ art, recognising colour energies as well as actually creating tactile art with the participants. It has been a hugely fulfilling experience for Furrah to see participants from these workshops gain skills that have led to new career choices for them such as art therapy and creating art while teaching these skills to others. Furrah has participated in a number of group and solo exhibitions internationally and has been commissioned by corporate and private clients in Australasia, Middle East, Europe and North America. 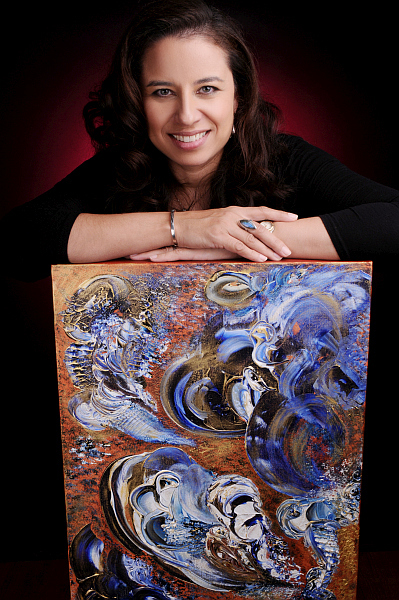 Furrah actively supports charitable causes through her art worldwide. She is a goodwill ambassador for The Sage Foundation (part of the Clinton Global Initiative) and a supporter of SUKRUPA – a NGO that benefits orphaned under-privileged children in India. Furrah is also engaged in art related fundraising events for charities such as The Royal National Institute for the Blind , Tottenham Hotspur FC Foundation and Noah’s Ark Children’s Hospice in the UK, the Global Dialogue Foundation and Bumblebee Creative Social Enterprises in Australia.